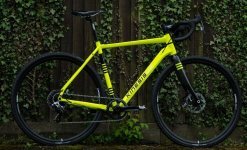 The adventure build of our new UK gravel frame: do not be limited by what a carbon road bike ‘should’ do, the Terra C affords the freedom to make your own choice. 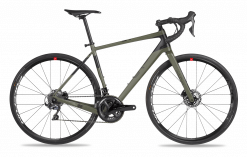 Carve any path without restraint and remove the distinction between road and trail.This is an updated and upgraded version of our hugely popular Terra Gravel, with a completely redesigned frame, new UK adventure geometry and, in this build, your ideal candidate for adventure riding. 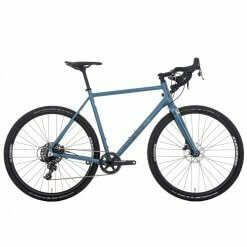 Whether you’re just looking to take the towpath shortcut on the commute or cutting through wild new territory on the South Downs, the swept bars, 38c tyres and super compact crank set make light work of all but the harshest terrain.The carbon road bike frame is equipped with Innegra impact protection to defend against rock strikes and geometry is designed for control over rough terrain and comfort for long days. 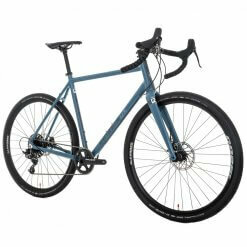 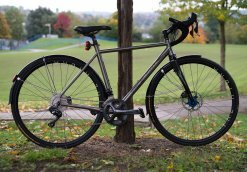 The Pacer is Surly’s fantastic steel road bike, superbly made frames with that ride feel that you only get from steel. 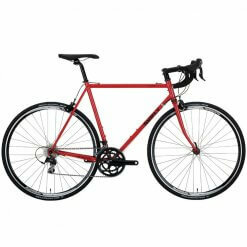 Made out of high quality internally butted cro-mo steel tubing with great clearance for mudguards and tyres. 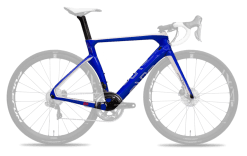 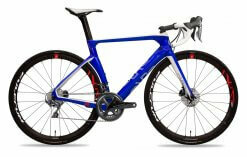 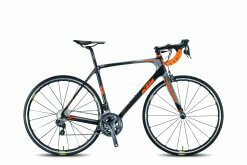 The standard spec bike comes with 105 running gear and Salsa finishing kit.